Instead of coming straight back, we jogged down the Iowa side of the Mississippi. We had planned to cross at Clinton but there was a camper so we crossed at Sabula instead. I don't think the Mississippi is at it's widest here, but I think the crossing must be one of the longest. Once we were back in Illinois we stopped at Albany Mounds and Rochelle before heading home. Still driving across the Mississippi at Sabula. 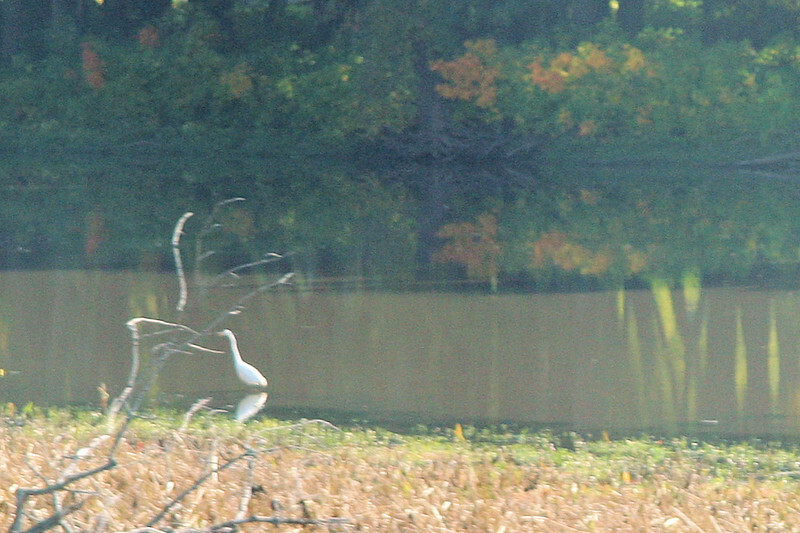 We saw a lot of these herons or cranes by the road.